If you are entrusting one of your prized possessions for repairs or servicing, the first thing that you would do is to ensure that you are putting it in safe and reliable hands. Yes, this analogy is especially true if you are looking for an expert car mechanic in Yarraville to iron out any problem that your vehicle may be having or even for simple routine servicing. And you will find the mechanic of your choice in a reputed and authorised garage or service centre only. This is because mechanics here work with very sophisticated tools and diagnostic equipment which helps them to accurately trace the source of trouble and set it right. A proficient car mechanic in Yarraville will be trained in every aspect of car care. 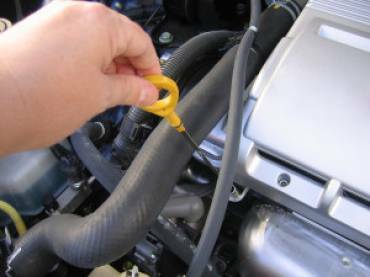 This ranges from routine servicing and maintenance to major overhauls, log book servicing to checking and regas of the air-conditioning system. In the modern day scenario when more and more car owners are opting for vehicles run on LPG for saving on fuel expenses, skilled mechanics will know all about LPG repairs and statutory LPG tank testing and certification. If you need a roadworthy certificate take your vehicle to an authorised service station. You can be sure that the mechanic who almost takes apart your car to check the smallest aspects is one of the best in business. Western Auto Services is an authorised service centre for issuing roadworthy certificates and carrying out mandatory LPG tank testing. This is apart from the other top class services we offer including routine checking and repairing, major overhauls if required, log book services and all types of transmission maintenance and repairs. We have a state of the art workshop with the latest and most sophisticated equipment to precisely diagnose any problems and set it right as quickly as possible. Book your car online for repairs or servicing and get the best possible results.